We had a fabulous first day in Malaysia with visiting the Petronas Twin Towers at night as the highlight of Day 1. 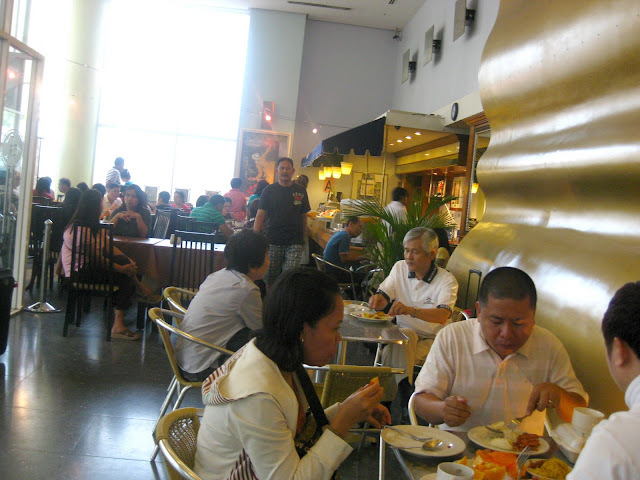 We also visited sights in Putrajaya, Merdeka Square, dined at Sek Yuen Restaurant and strolled along the streets of KL. We were scheduled to go Beryl's Chocolate Kingdom, Petronas Twin Towers, Batu Caves and Genting Highlands for our second day in Malaysia. I was personally looking forward to see the Lord Murugan statue in Batu Caves and in riding the cable car in Genting. 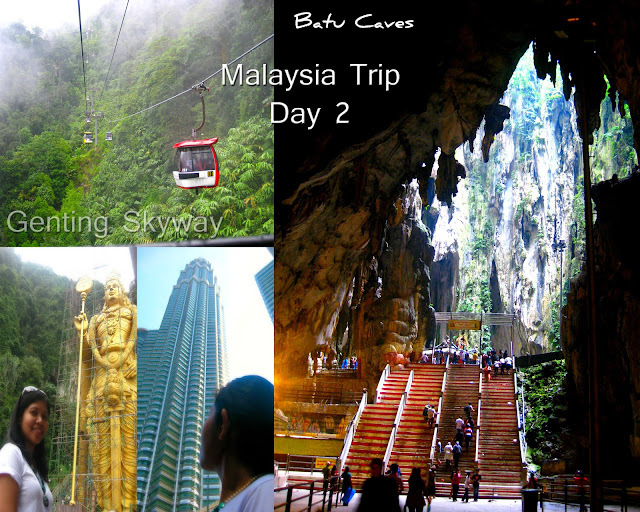 It was a fun hectic second day going from Kuala Lumpur to the adventure highlands of Genting. It was a good sunny morning in KL when I woke up. Before going down for breakfast, I took the photo below, kind of reminding me of a scene in a slum area from the movie Entrapment where Sean Connery and Catherine Zeta Jones were planning to steal $8 billion at International Clearance Bank at the then tallest building in the world, the Petronas. The Menara KL Tower can be seen from our room and so was this slum building. In all fairness, may potential ang arcitectural facade ng building! 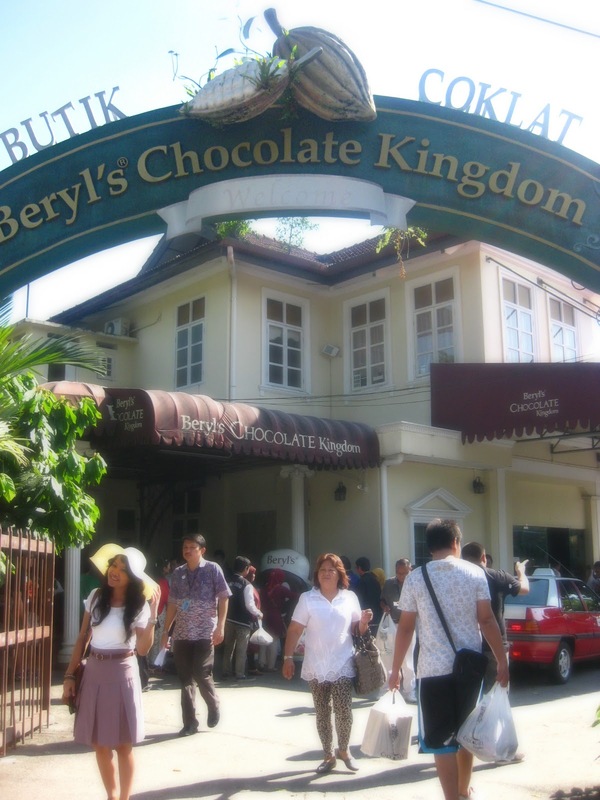 After breakfast, we hopped on our bus and drove to our first stop of the day to sample and bring home some sweet treats from Beryl's Chocolate Kingdom. I was grinning from ear to ear with delight as I walk my way to center of the shop, sampling one dark chocolate to another. 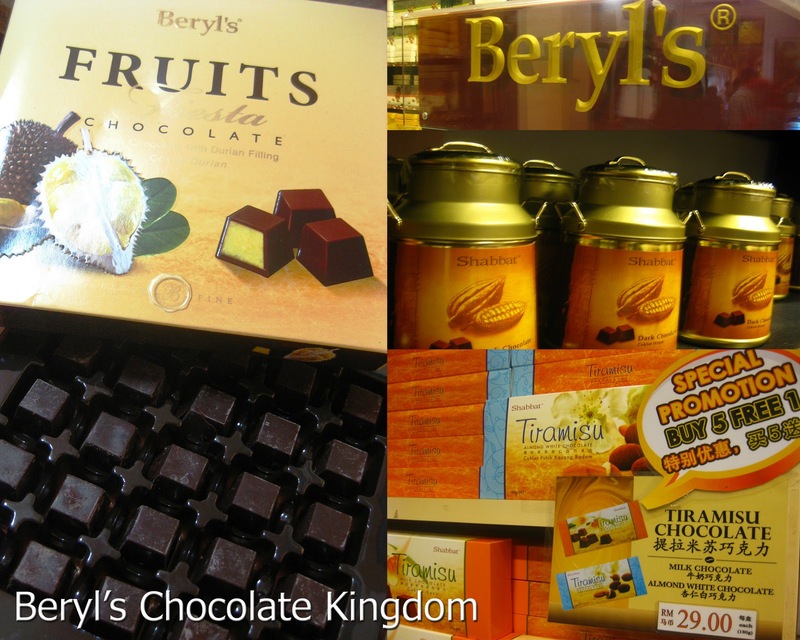 Beryl's uses only the highest cocoa beans from Ghana to make the best chocolate in Malaysia, probably why the higher price tag. Their store in Kuala Lumpur sells a lot of assorted chocolates from tiramisu, milk and dark chocolates, fruit flavored like durian, strawberry and even a tongkat ali flavored chocolate! The melt in your mouth tiramisu chocolate was by far the most delicious Beryl's chocolate I tasted! After getting into sugar overload, we took a short stop at the famous Petronas Twin Towers to see a closer look at the building by daytime. Petronas sure sparks like diamond at night while it's a towering megastructure that's clear as Malaysia's blue sky by day. We took our lunch at Ampang Homeland Yong Tau Foo and tasted the province's famous yong tau foo dish. 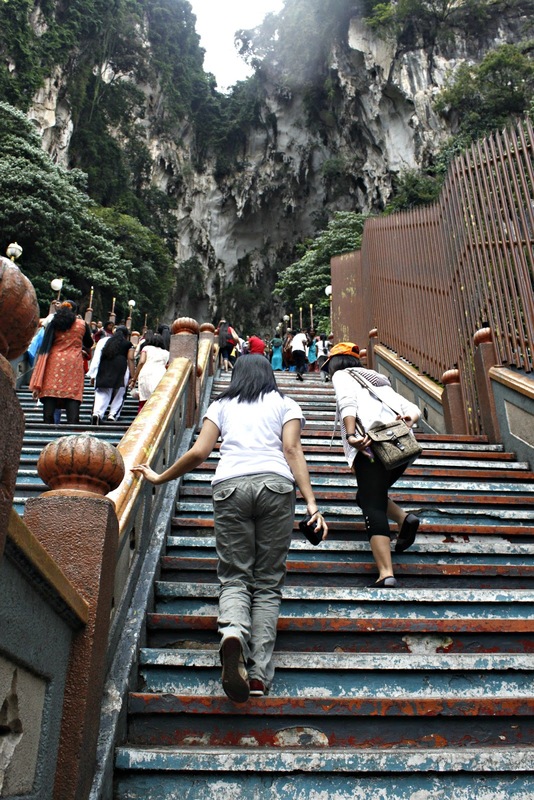 After a hearty lunch, we stayed for a while at Batu Caves, took a photo with an Indian bride and climbed the challenging 272 steep staircase. 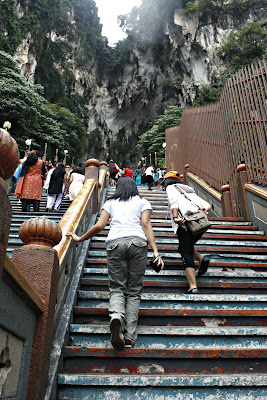 Click here to read more about our Batu Caves experience. After being on the road for 2 days straight, riding South East Asia's longest cable car system at the Genting Skyway offered another of my firsts - an out of the country cable car experience passing above Genting's mountains. The ride was surprisingly a mixture of thrill and tranquil feeling, being on top that's surrounded with a mist of thick fog that covered almost everything it passes through was quite scary at first but gave it another minute and it was totally relaxing. It's like being transported into the unknown. But for others onboard, it was a horrible experience. 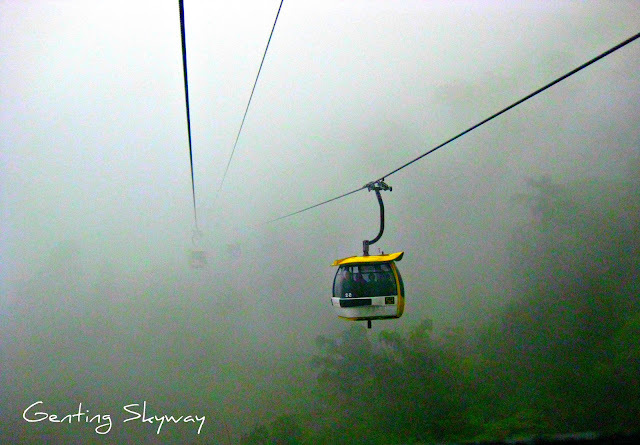 I can't blame them, the Genting Skyway has been included as one of the Scariest Cable Car Rides on Earth, but I tell you what, it's a must try experience! It was foggy and raining when we arrived at Resorts World Genting so we weren't able to explore the outdoor theme park. No fuss, we just explored the many sights and lavish restaurants inside while others took a few minutes to shop. We're all physically tired, the first 2-day Malaysia trip felt like a 2 week exploration already. My eyes wanted to badly shut down but the urge to explore further is irresistible. We all picked up our luggages from the bus terminal area, went straight to our rooms at the First World Hotel then went down for dinner. 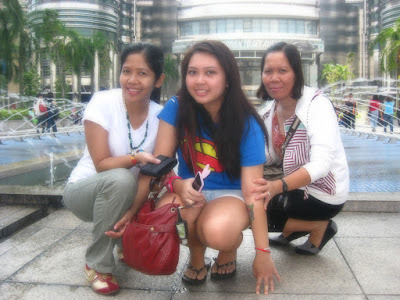 The staff from Gano iTouch gave us enough money for our meal allowance and we're on our own. After a spicy dinner at The Eatery, all of us felt like throwing ourselves in bed, some gave in and went back to our rooms but for us younger, we chose to take a night tour. There were a lot of fun rides for children, video arcades for young adults and signature attractions like Sky Venture for the thrill seekers. We also went out just to experience the fog that covered almost every establishment's signage. I love the fog but I would surely appreciate the snow more. Too bad, we missed the Snow World experience. We thought of trying our luck inside the casinos too, but alas, we're not wearing the proper attire. I was wearing my flip flops as my feet were already tired. I hate dress codes! 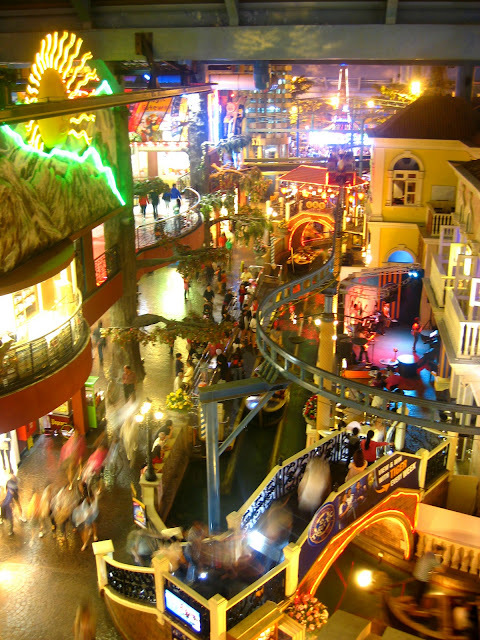 I will write more about our Resorts World Genting experience. 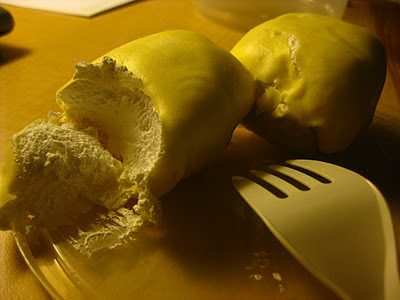 We wrapped the night feasting on another sweet treat from Shanghai 10 and slept at around 2am.